Performers include: Joey Fatone (host), Brian Scott, Joe Levy, and Carnie Wilson (judges). Hosted by Joey Fatone, this reality competition shines the spotlight on the best karaoke singers from across the country. The judges include singer/songwriter and TV host Carnie Wilson, music journalist Joe Levy, and 2009 National Karaoke Champion Brian Scott. Fatone and the judges travel to the regional competitions at House of Blues locations in Las Vegas, Houston, Chicago, New York and Los Angeles. They are accompanied by officials from the Karaoke World Championships USA organization, the premier group that crowns two American champions each year. The best male and female performers at each regional competition move on to the Los Angeles House of Blues, where they square off to win the honor to be crowned King and Queen of Karaoke. In addition to the title, winners will also receive a prize package that includes a recording released by Hollywood Records and a trip to compete at the Karaoke World Championships in Ireland later in the year. More about: Karaoke Battle USA, Karaoke Battle USA: canceled or renewed? 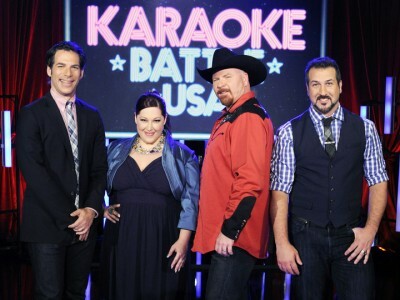 Karaoke Battle USA: ABC’s Newest Game Show; Cancel or Keep It?